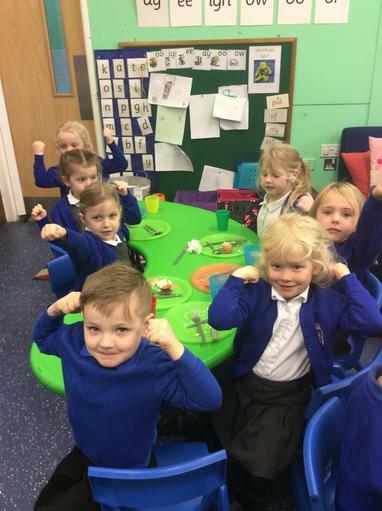 Super heroes have super strength and energy to help people. 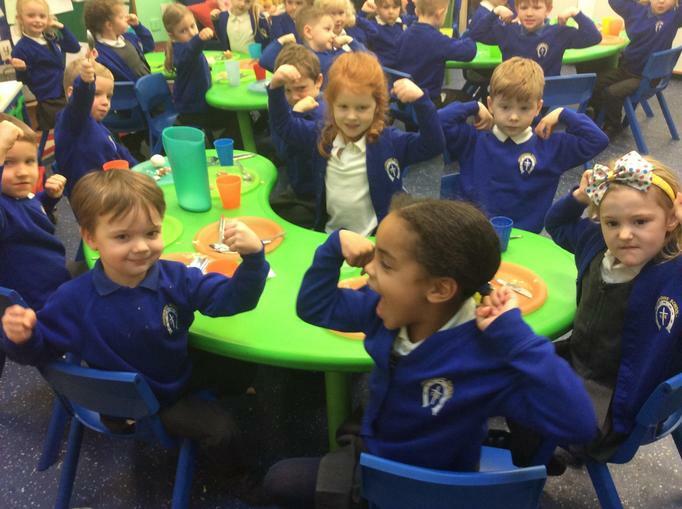 We talked about how we all need food to give us strength and energy. 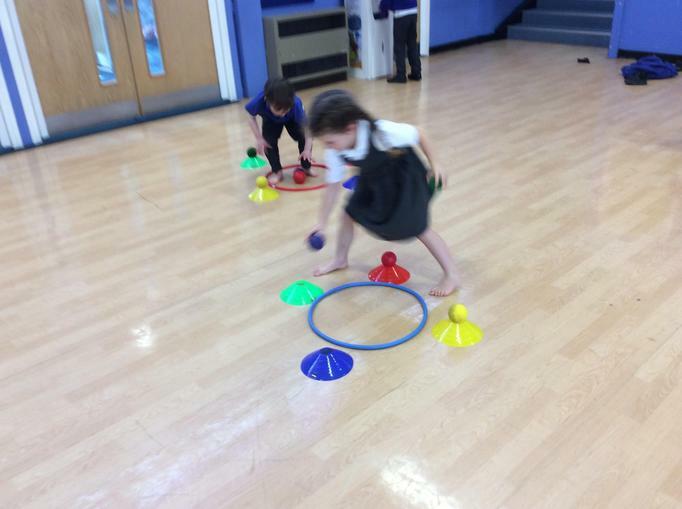 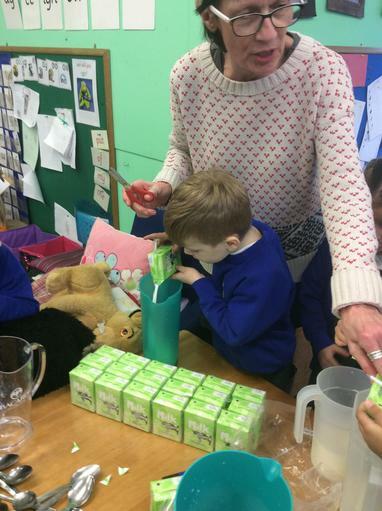 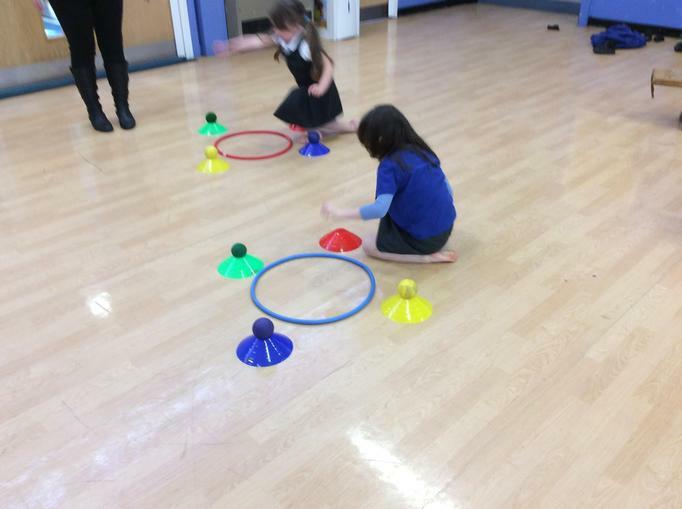 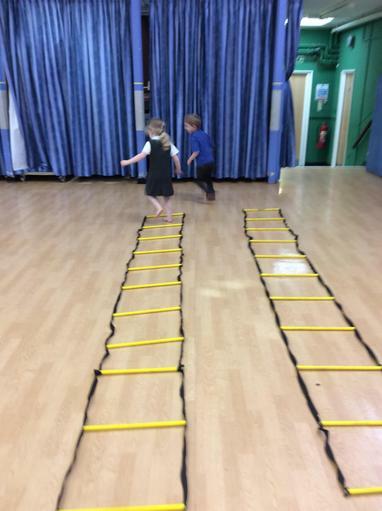 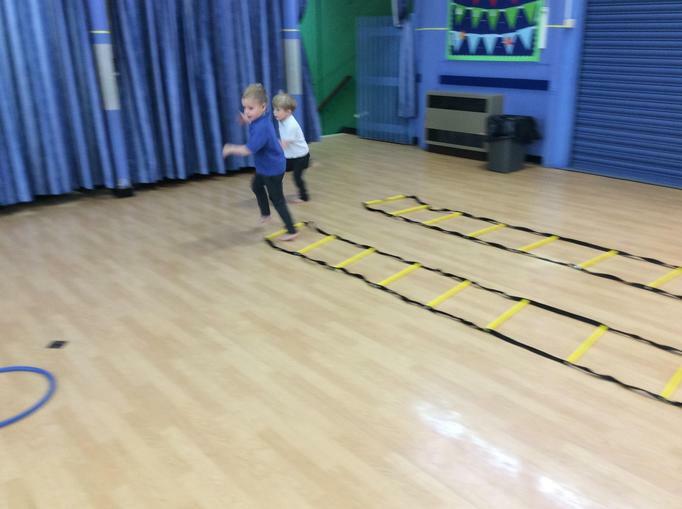 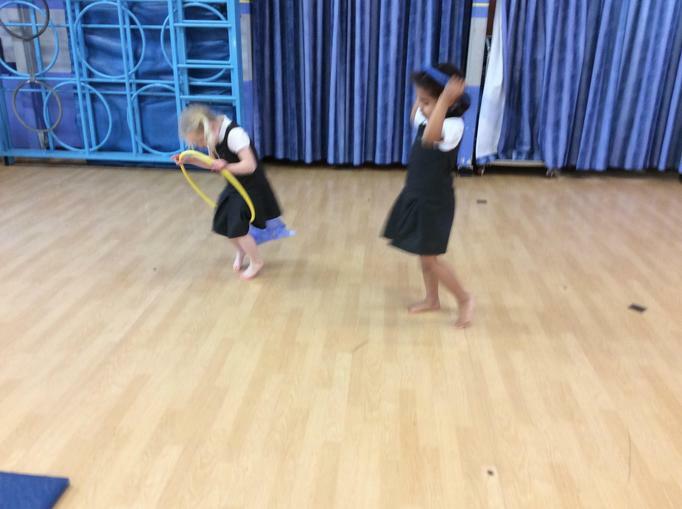 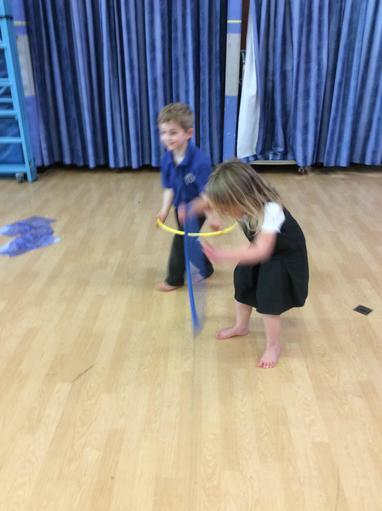 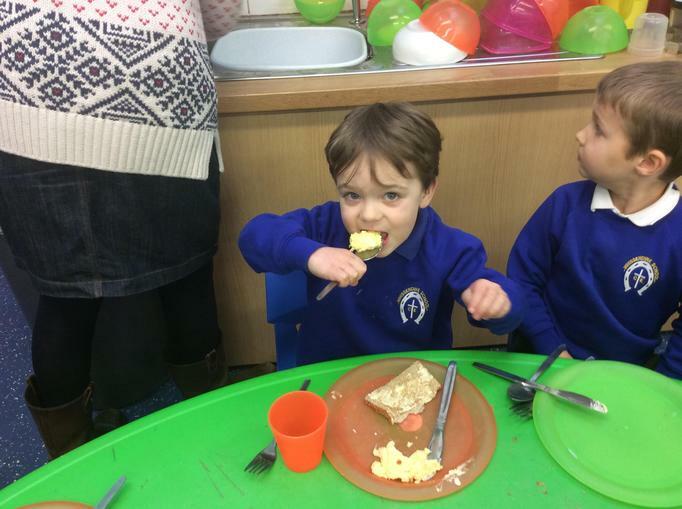 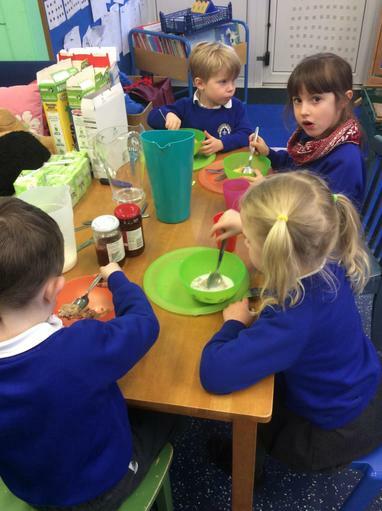 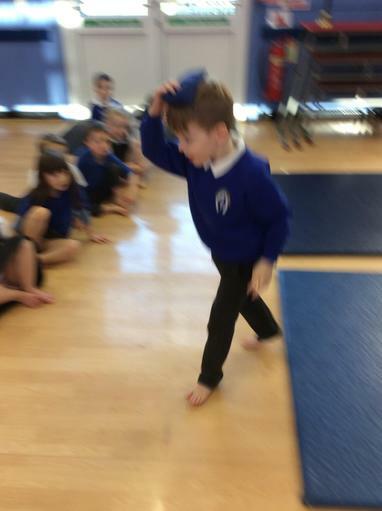 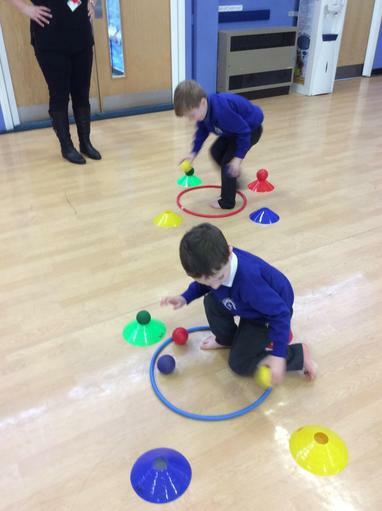 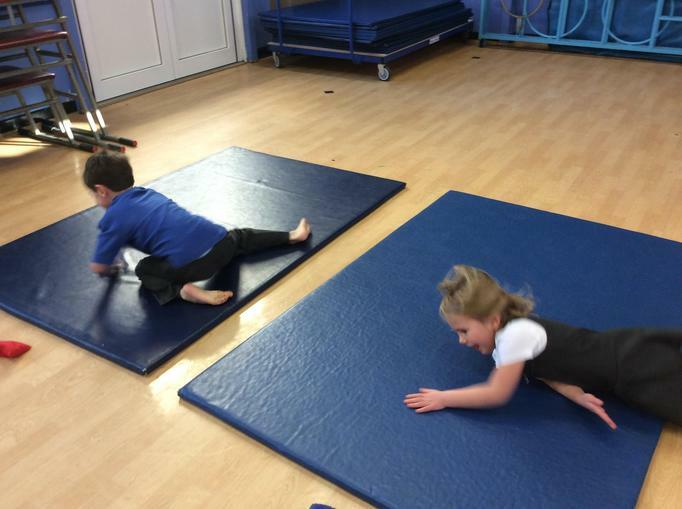 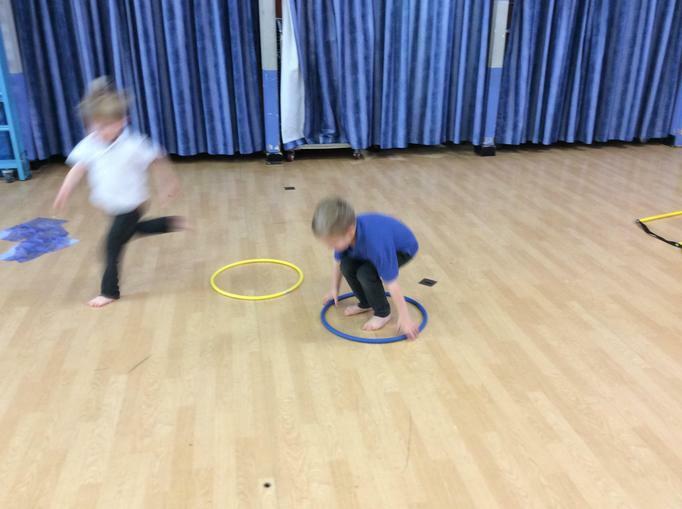 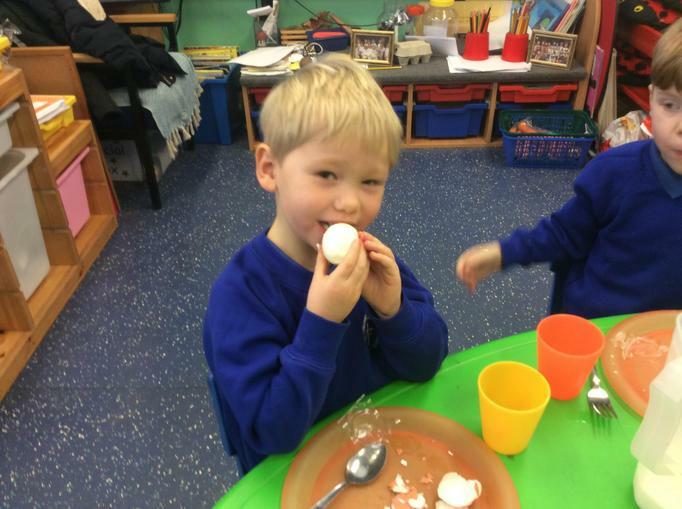 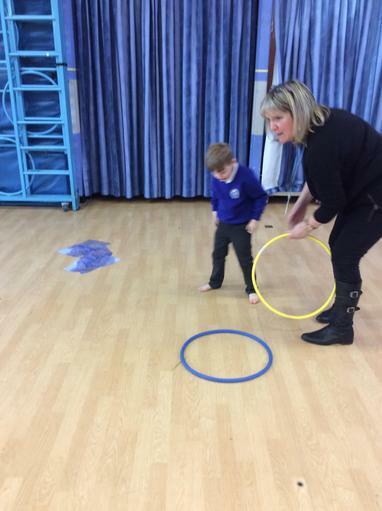 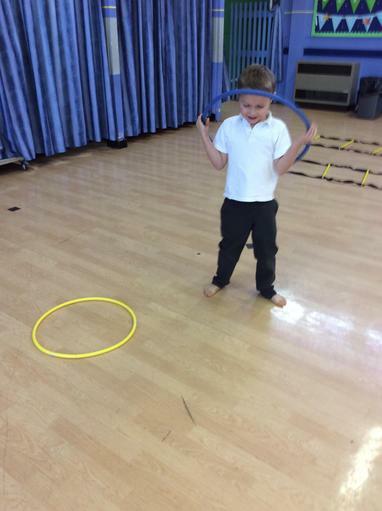 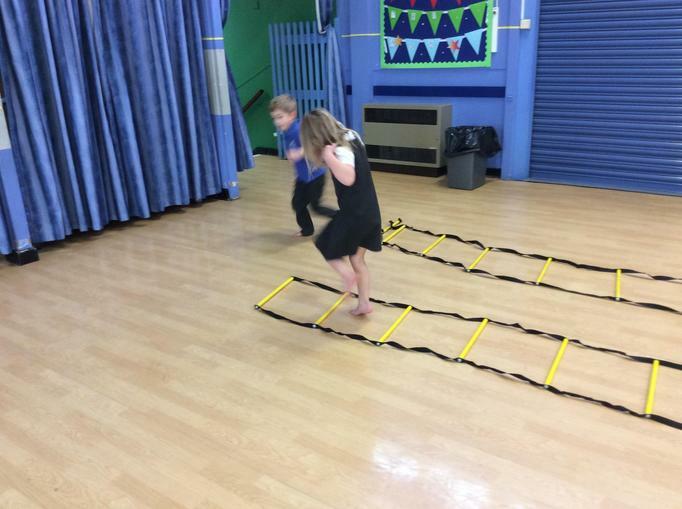 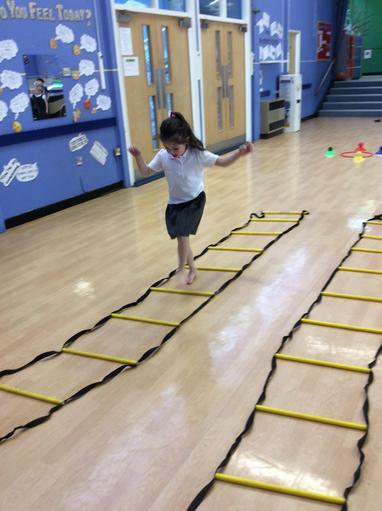 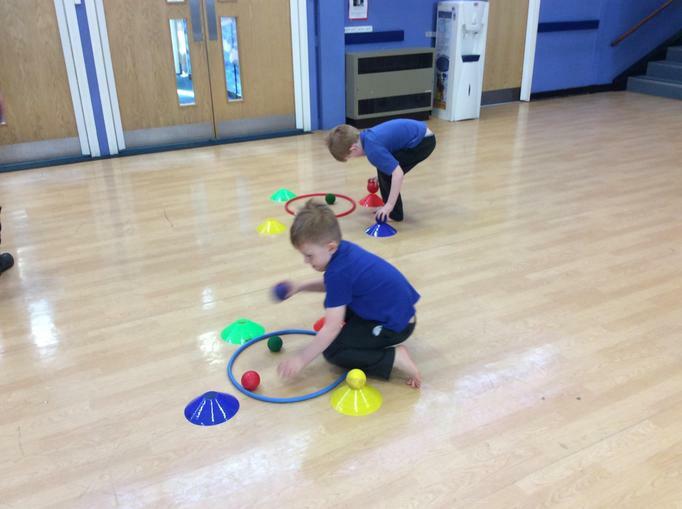 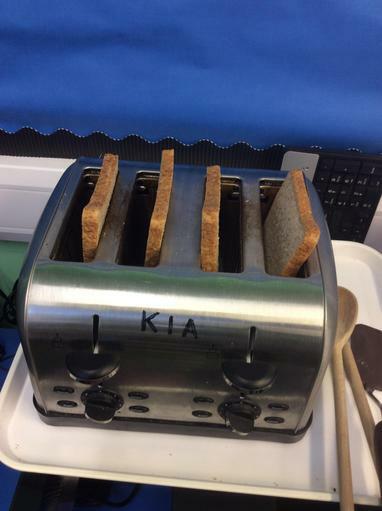 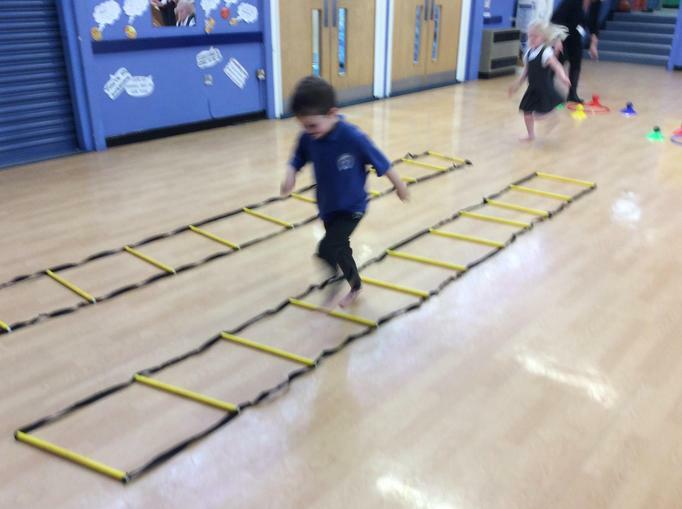 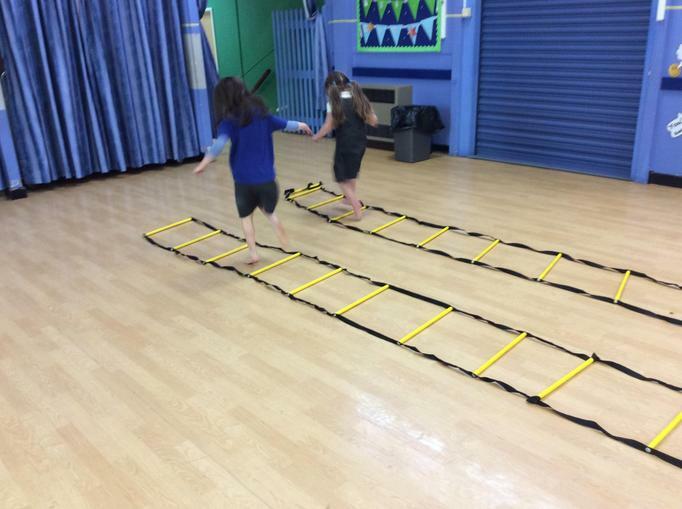 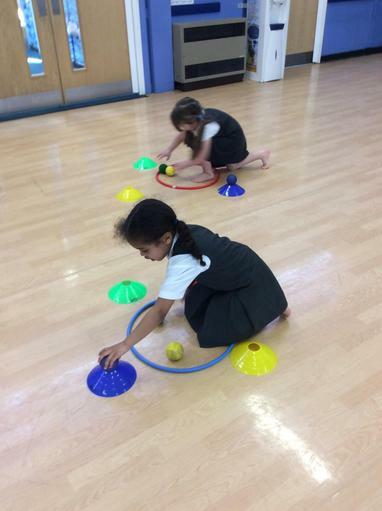 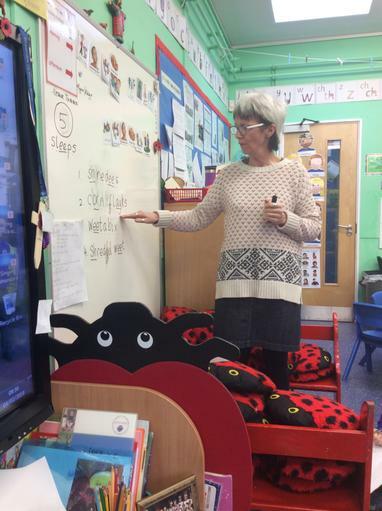 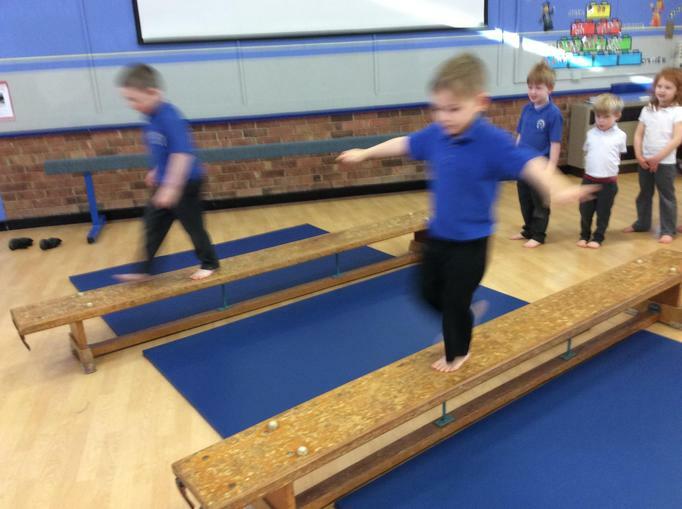 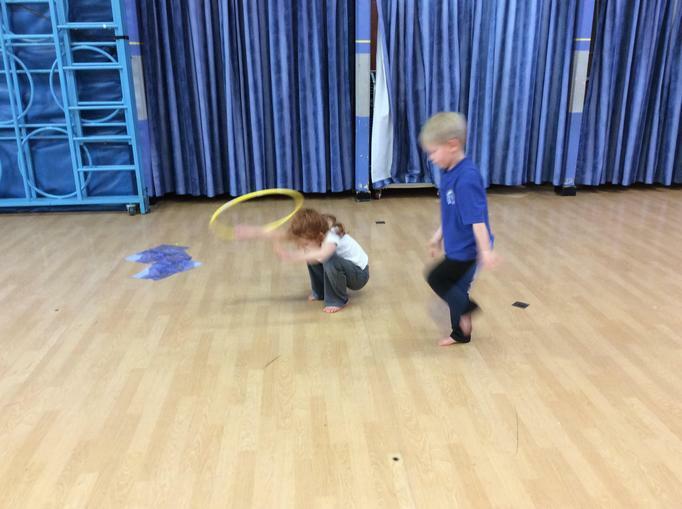 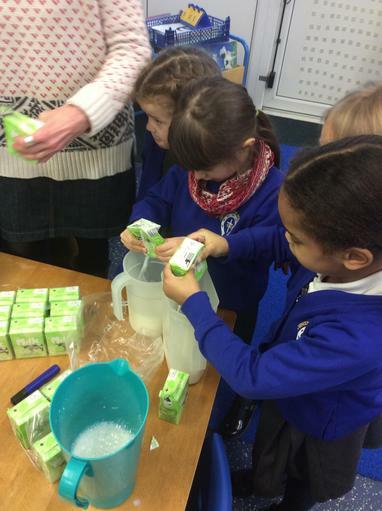 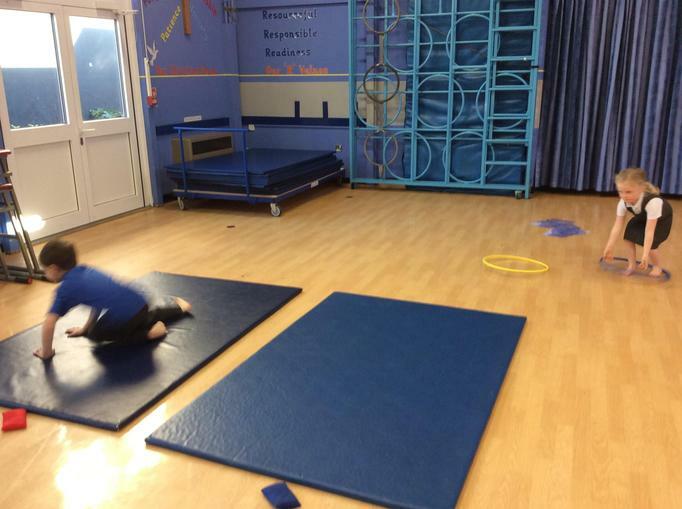 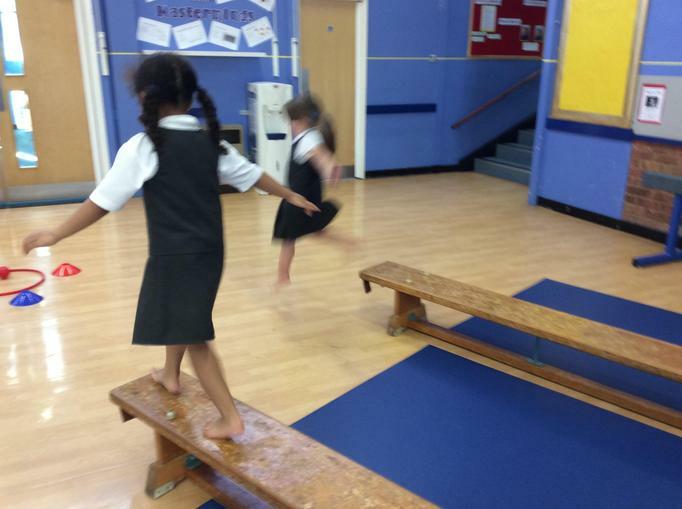 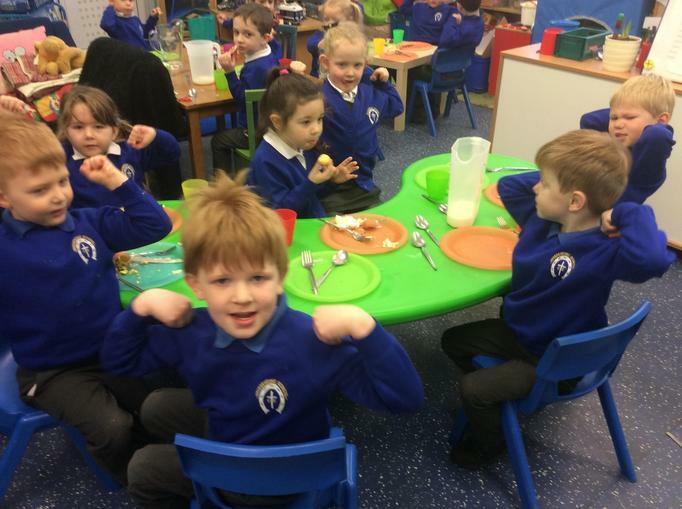 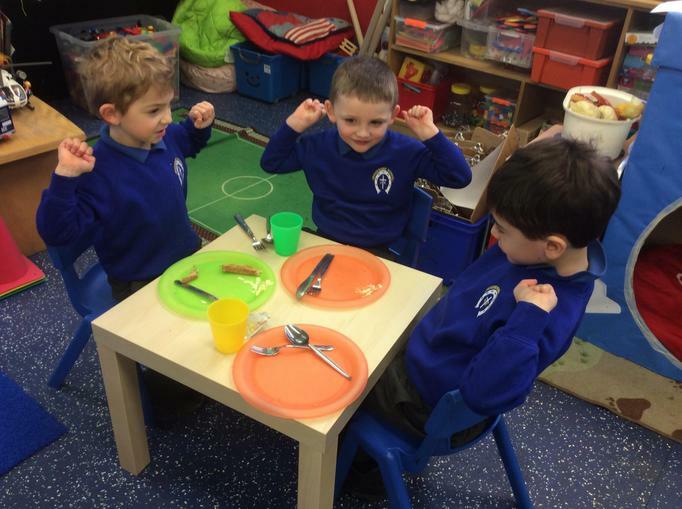 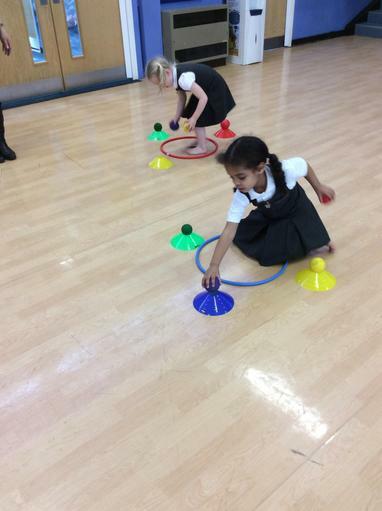 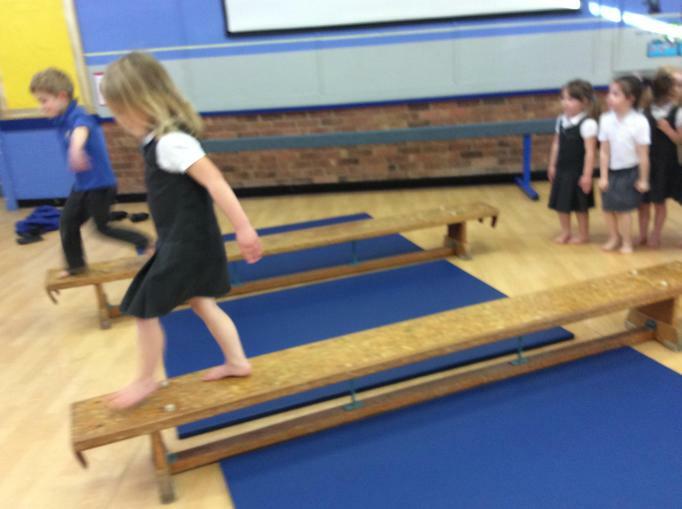 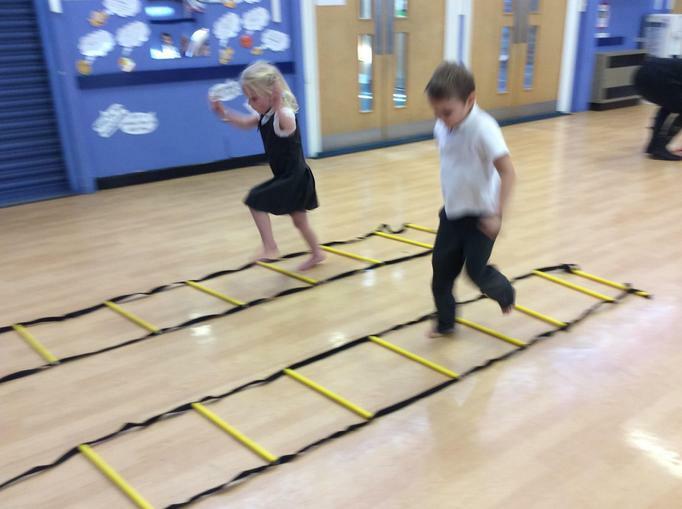 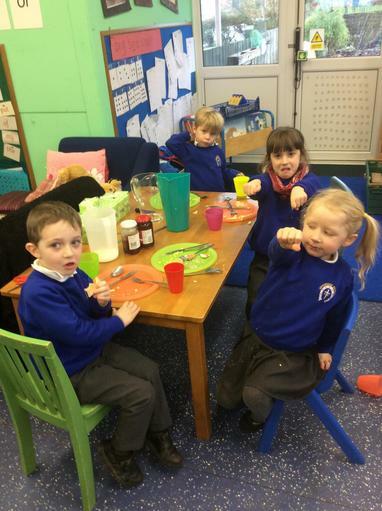 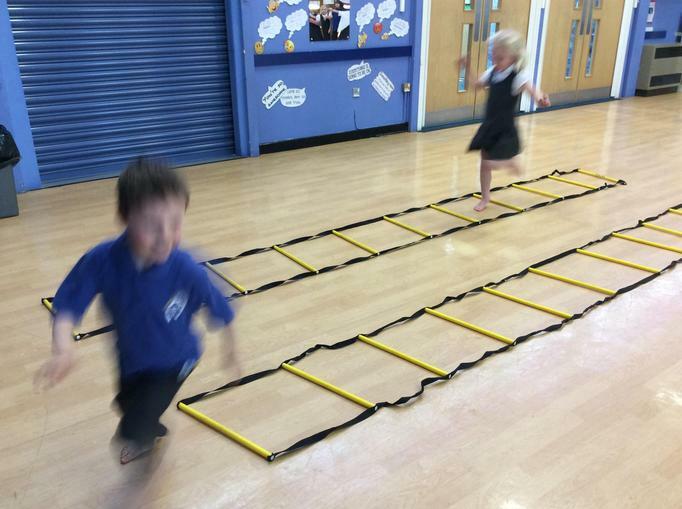 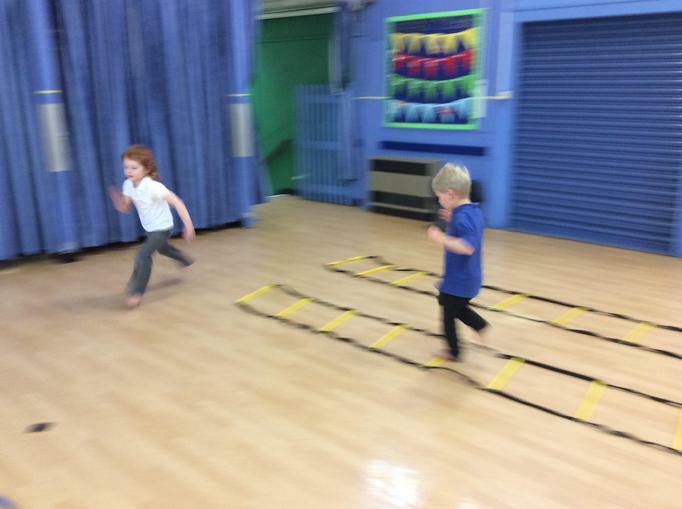 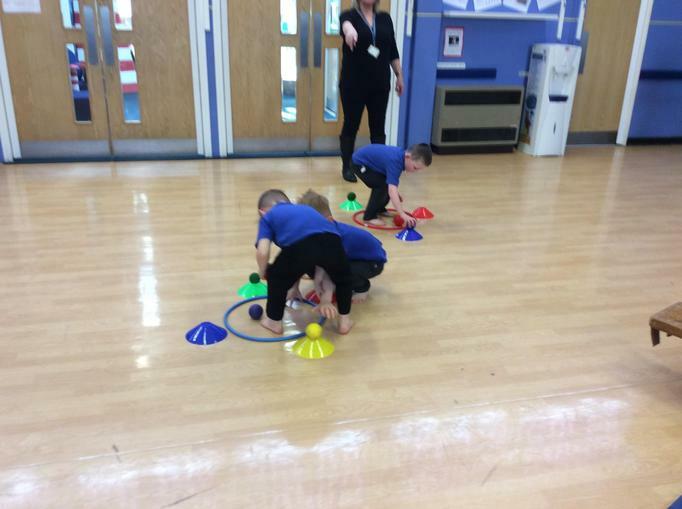 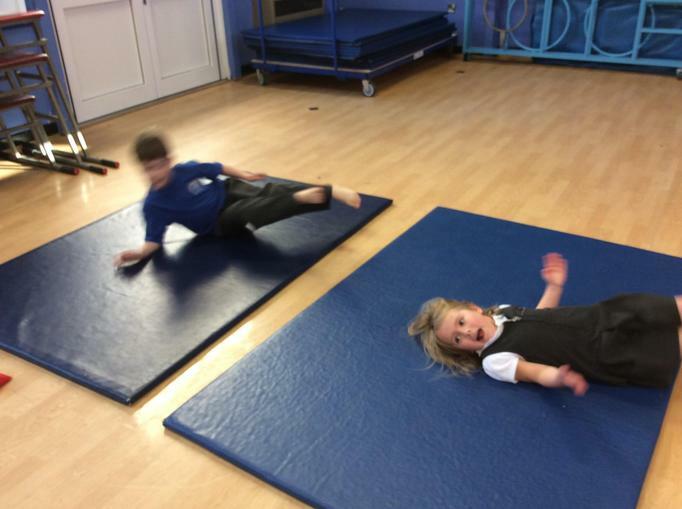 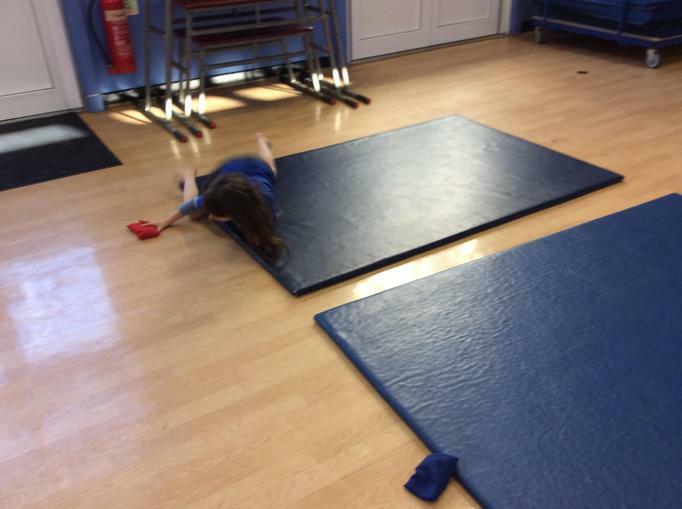 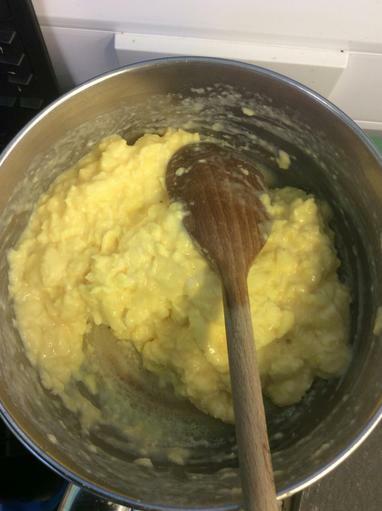 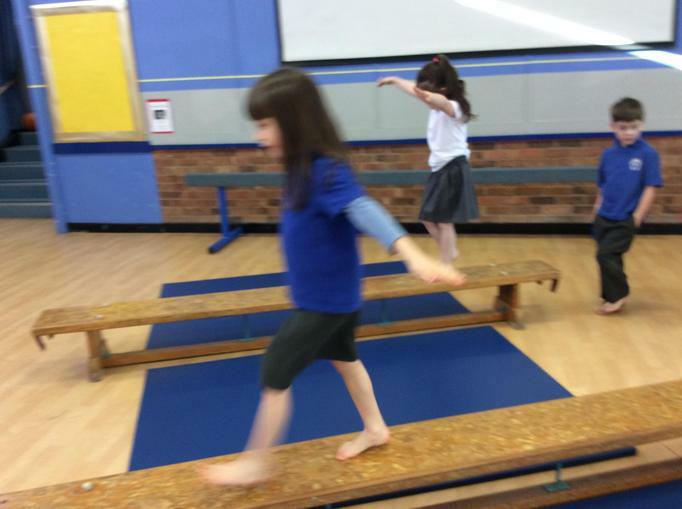 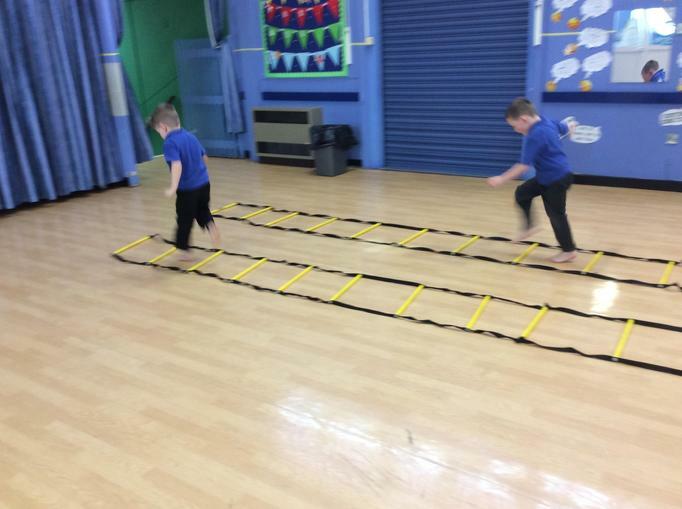 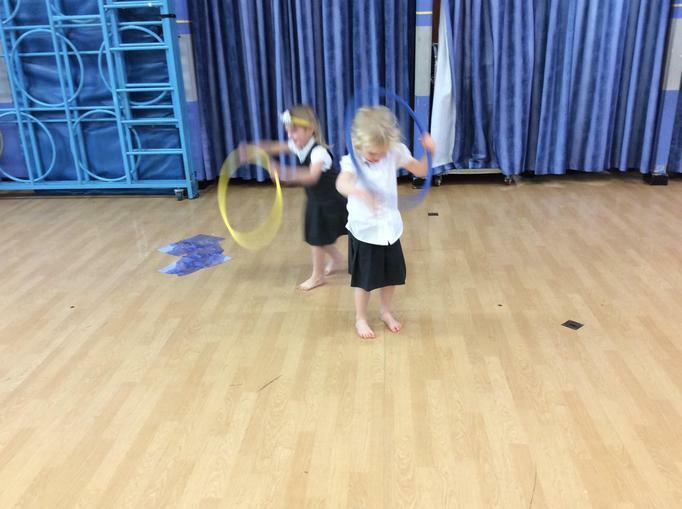 Today we had a 'soopir' breakfast (thinking about which foods are good for you) and then we challenged our bodies on an 'assault course' in the school hall. 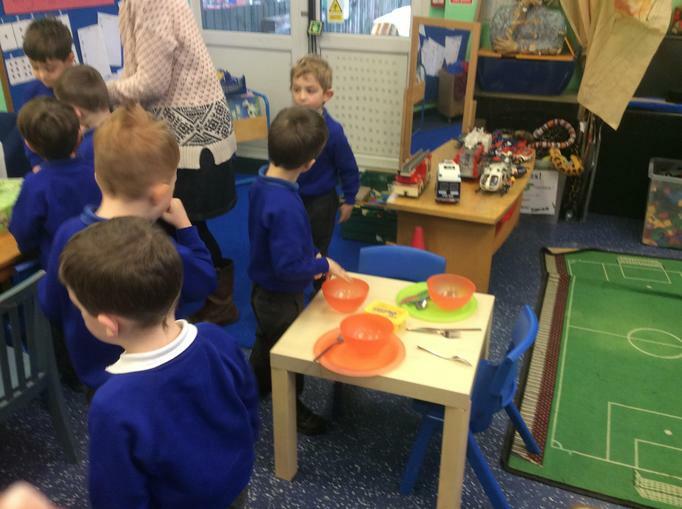 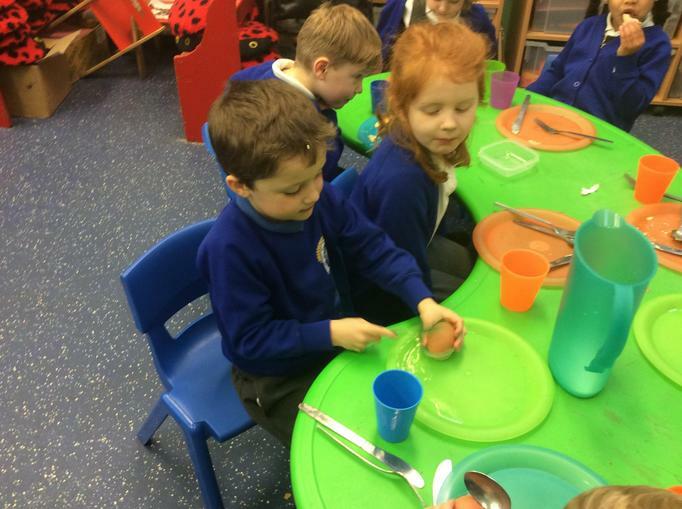 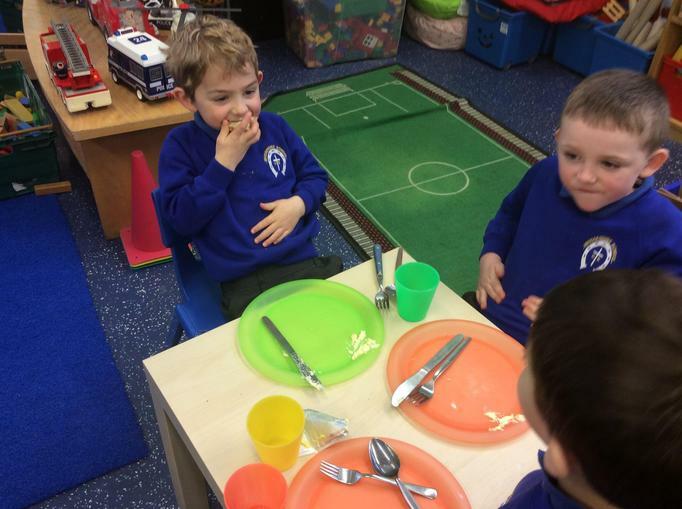 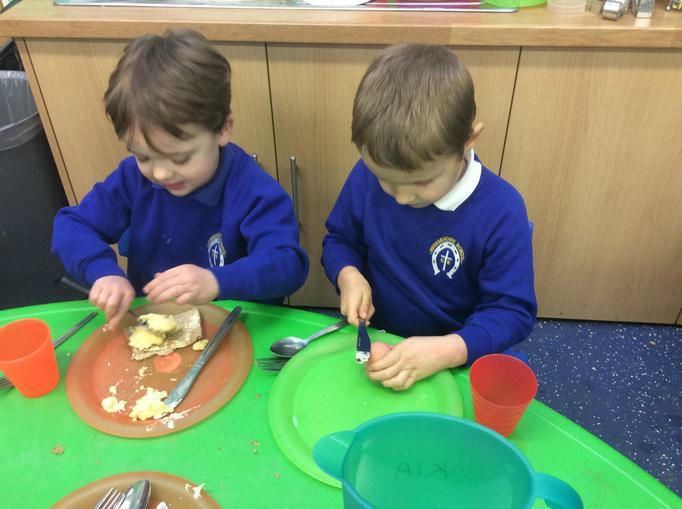 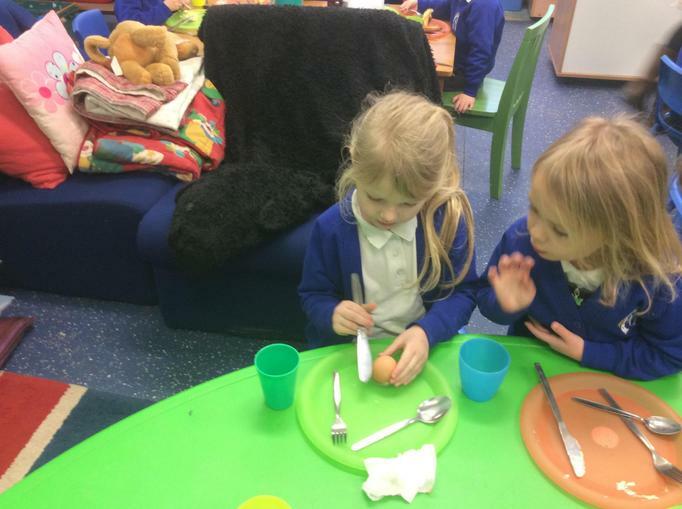 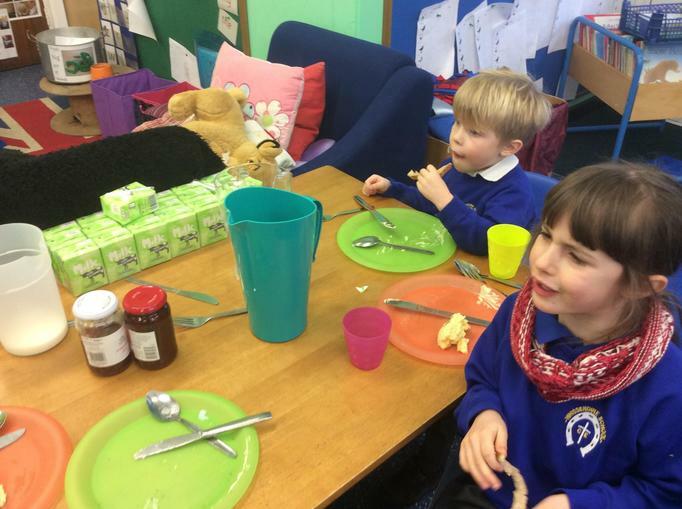 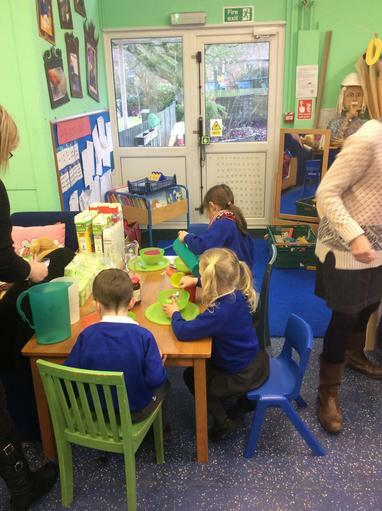 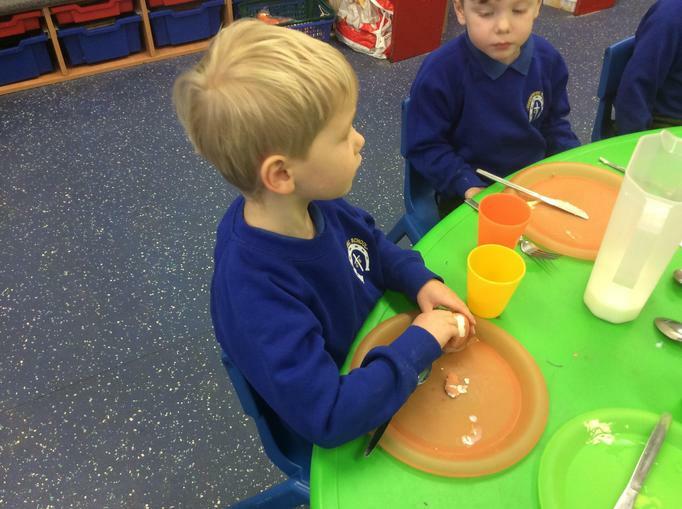 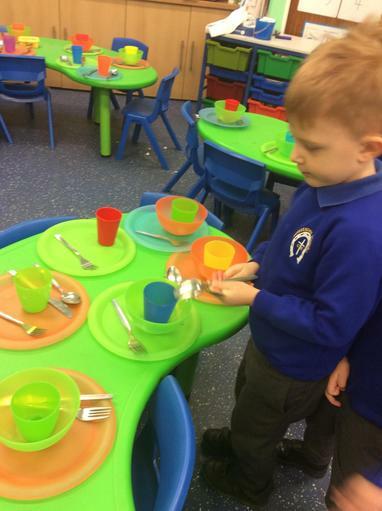 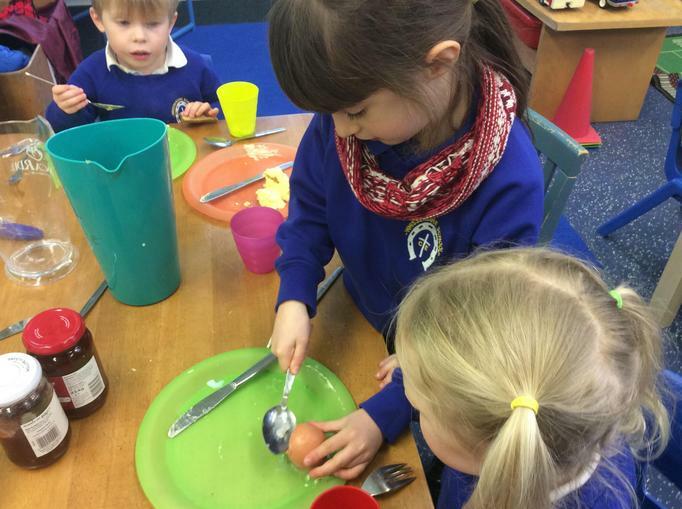 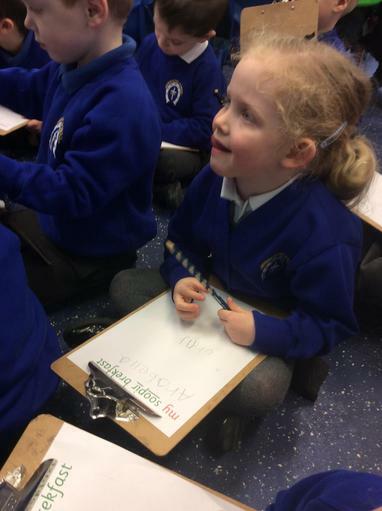 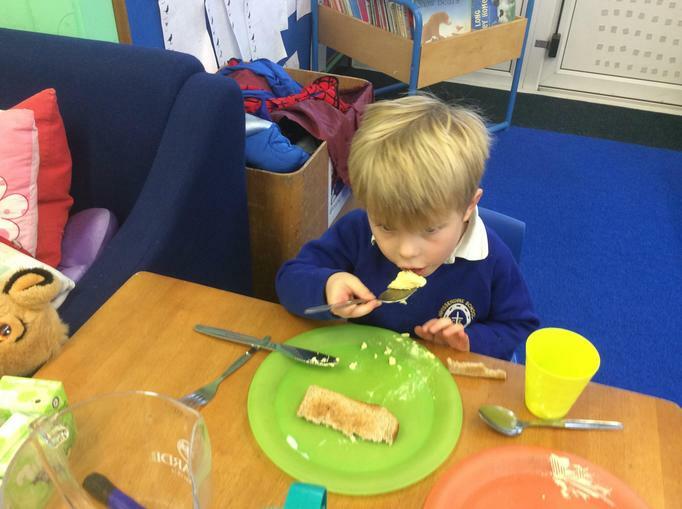 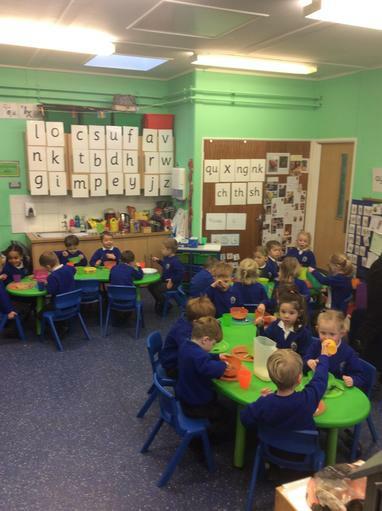 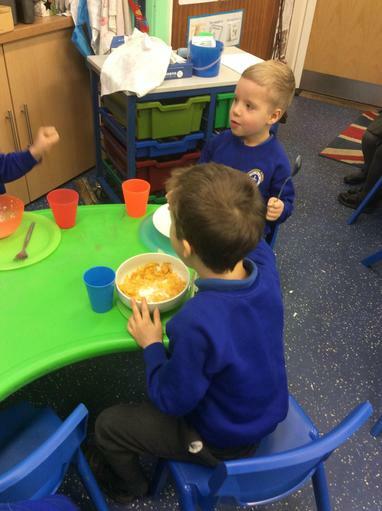 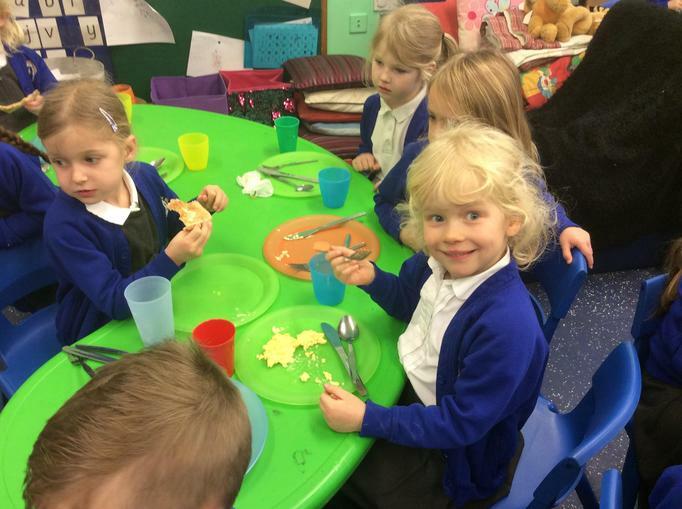 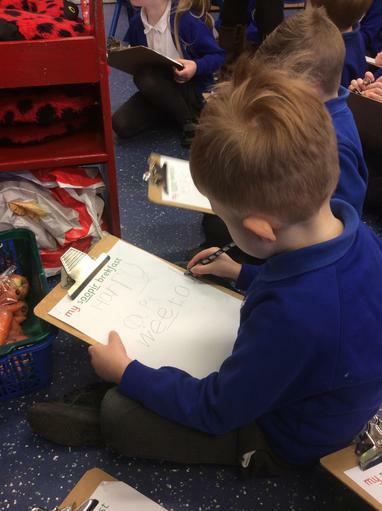 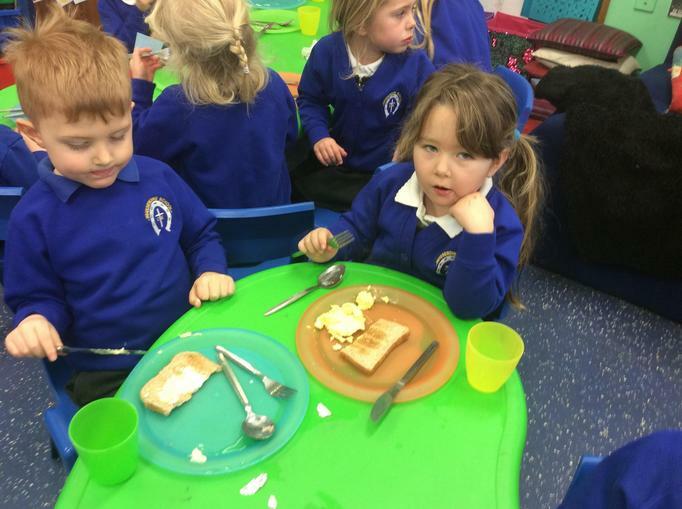 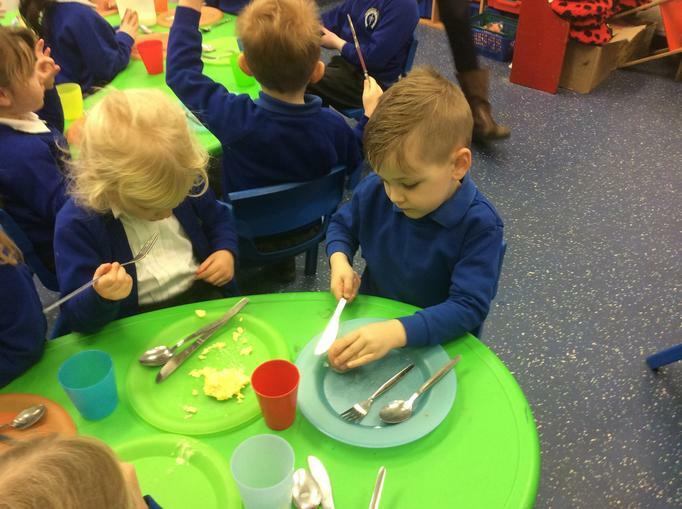 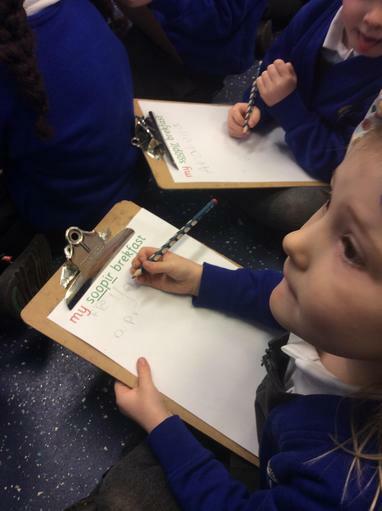 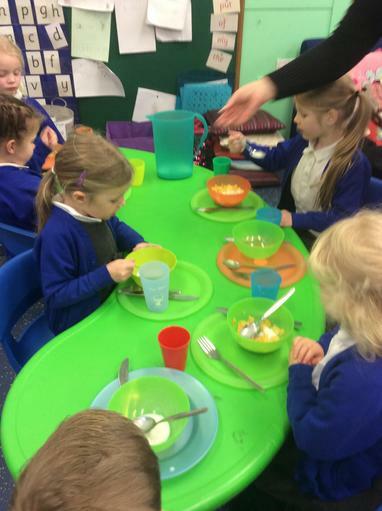 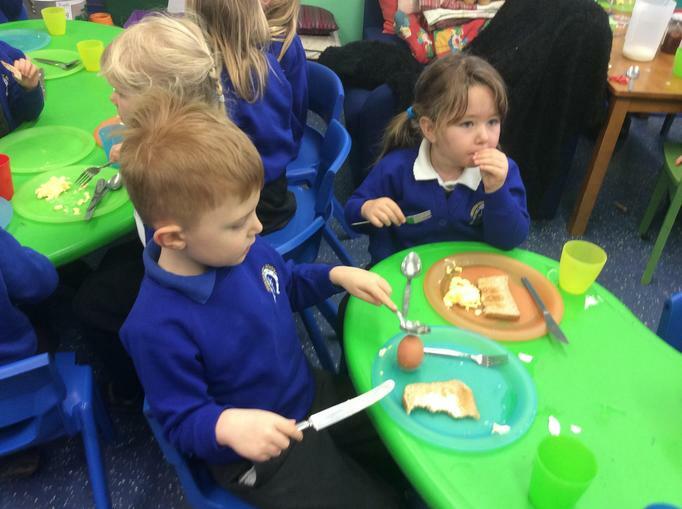 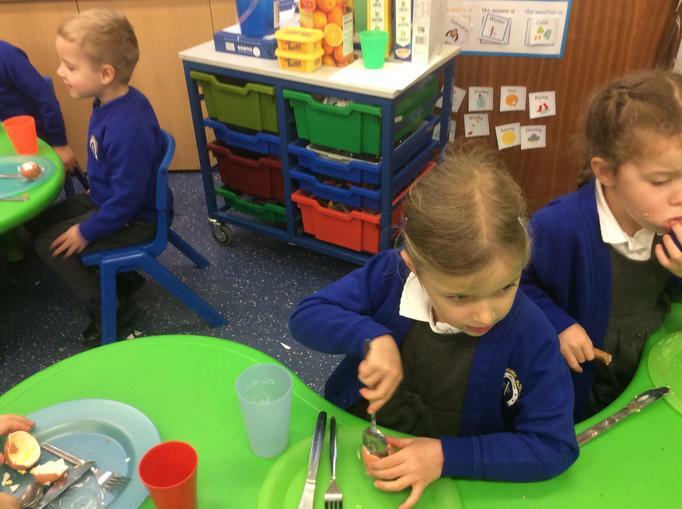 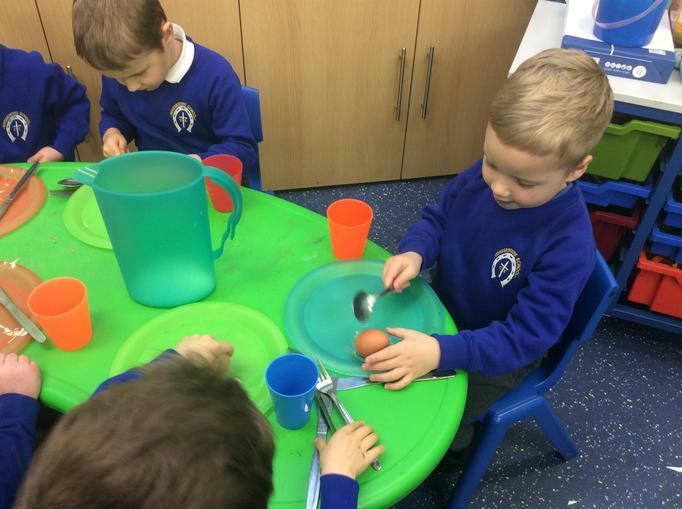 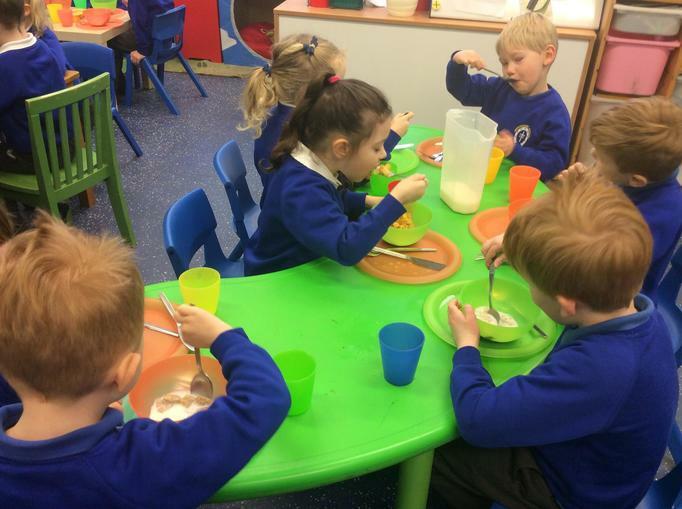 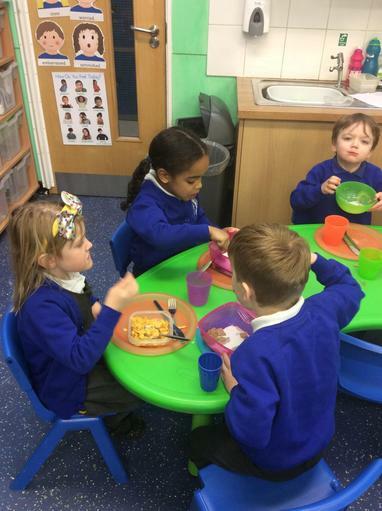 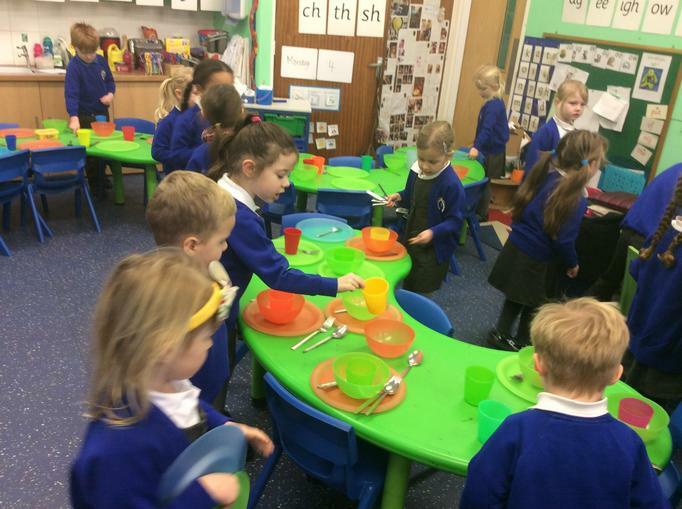 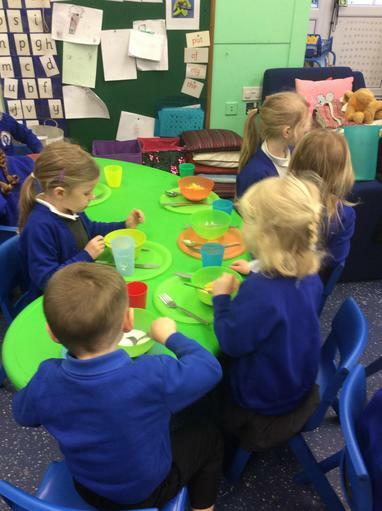 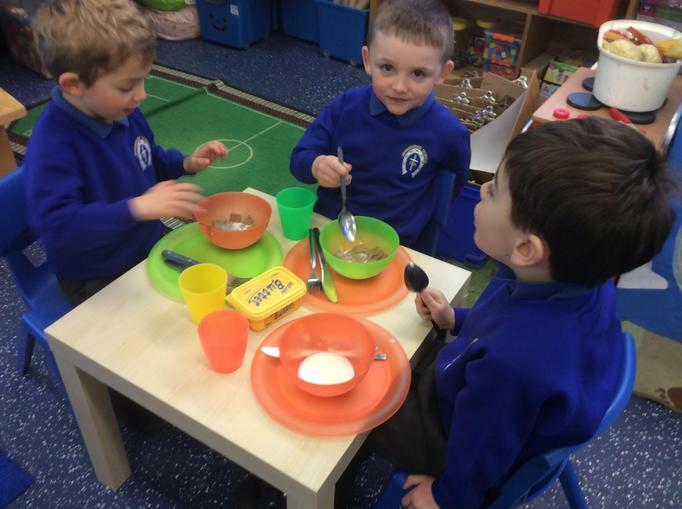 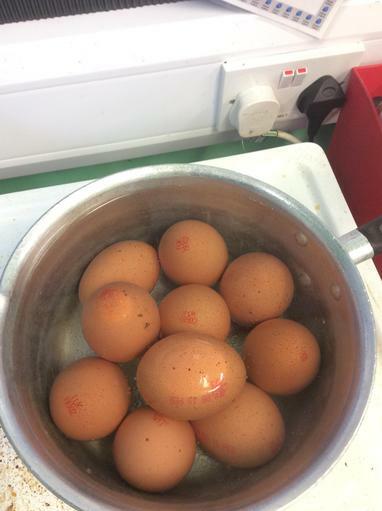 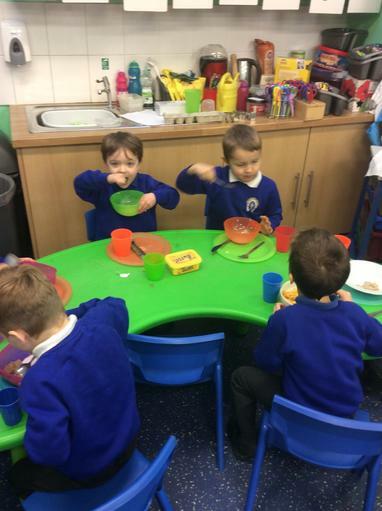 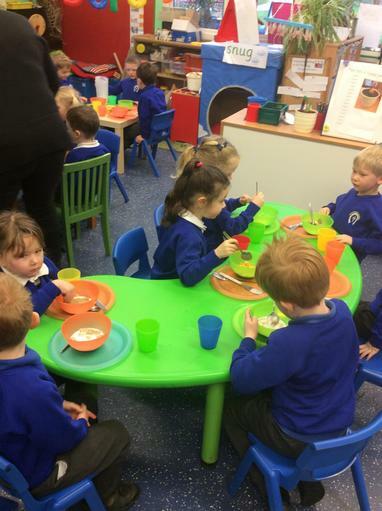 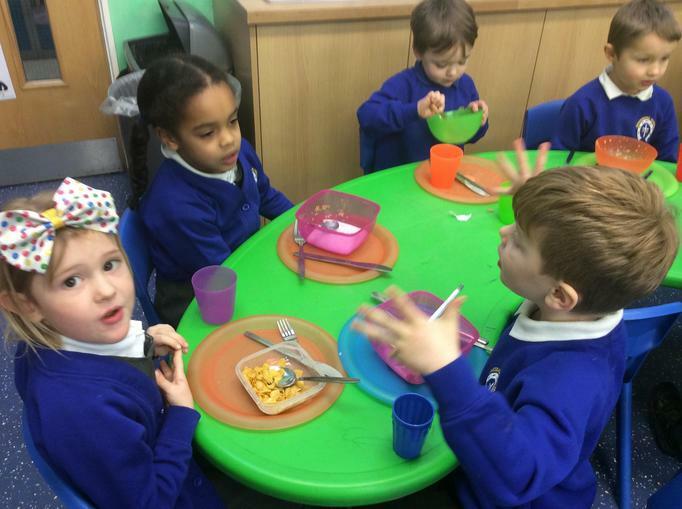 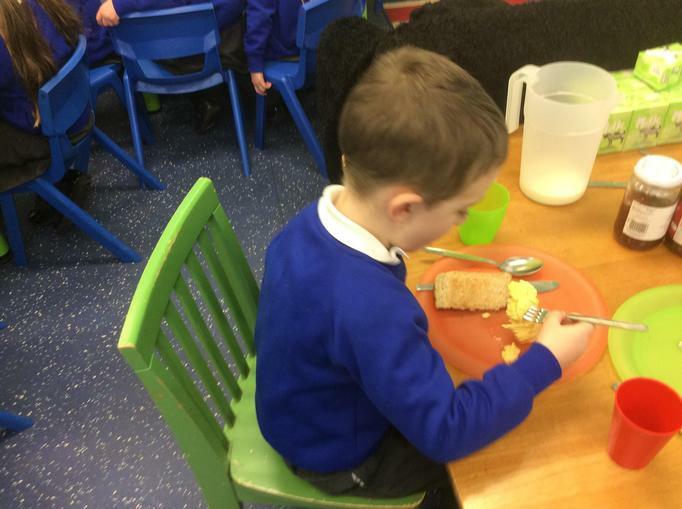 Before we ate breakfast we had to set the tables and wrote our choices from a selection of cereals and fruit juice and also whether we wanted our egg boiled or scrambled.